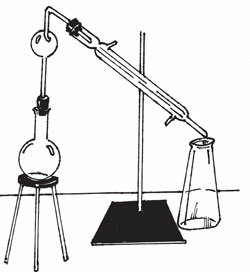 Distillation made heuristic. 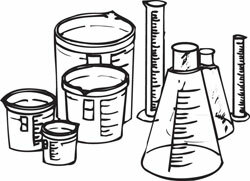 Nothing explains a process like a little hands-on experience, and this laboratory distillation kit is for showing instead of telling. 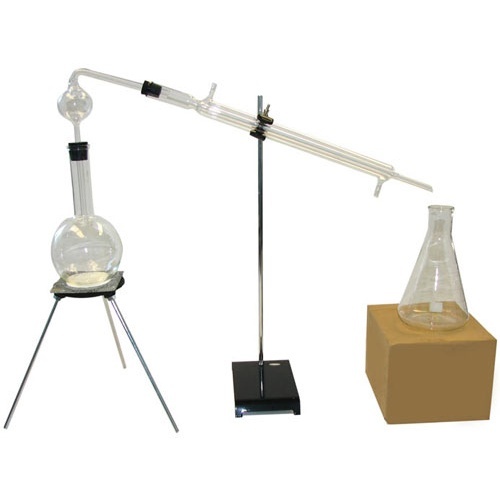 Includes a 300mm Liebig condenser, Kjeldahl distilling column with 50mm dia bulb and rubber stoppers, 500ml Bomex boiling flask with 8" iron tripod, 2-foot lab stand/base with a single burette clamp, 500ml graduated Erlenmeyer flask and a 6" square of ceramic-coated wire gauze. You add some 1/4" ID tubing for the Liebig ports. 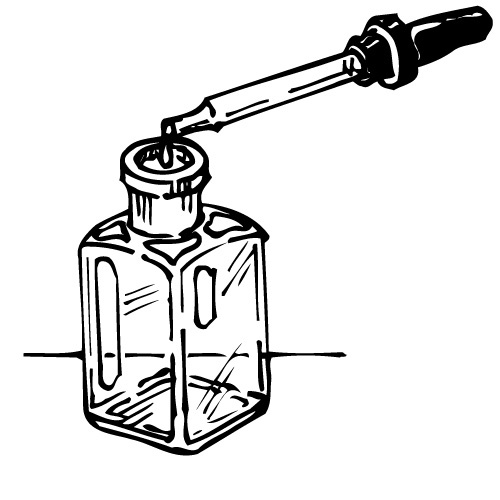 Includes good directions for distilling ethanol and acetic acid. 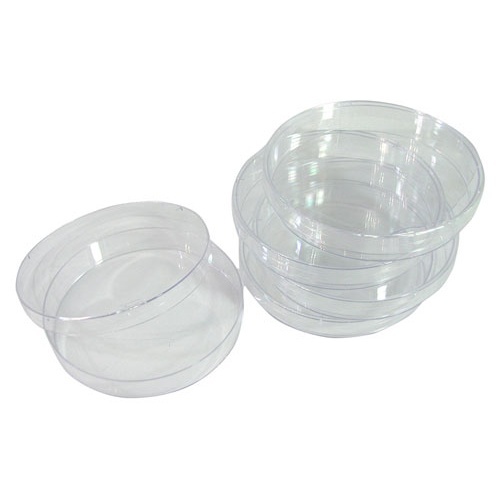 A great find: sterile plastic petri dishes, 90mm dia x 15mm deep, with a loose fitting lid. 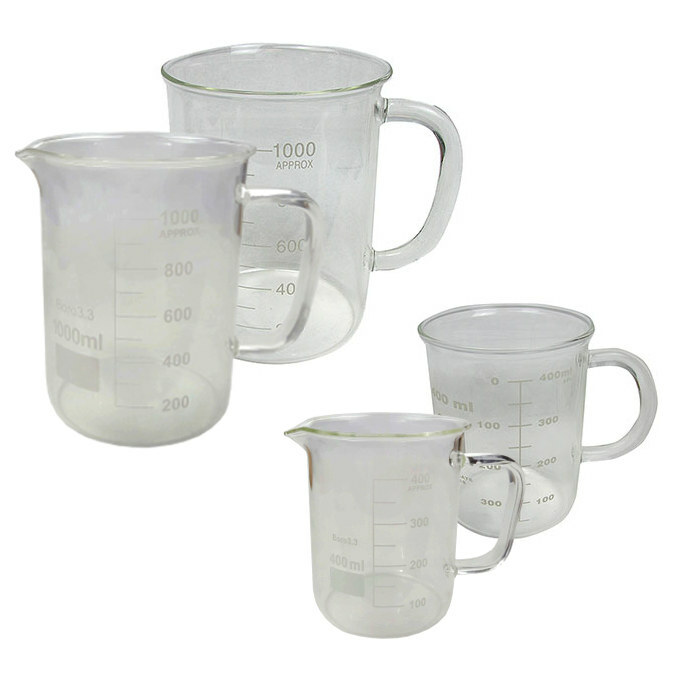 Great for growing cultures for your science fair experiments, as individual pancake storage cases or for mixing paint. Our each is (25) dishes and lids in a sealed, sterile package. 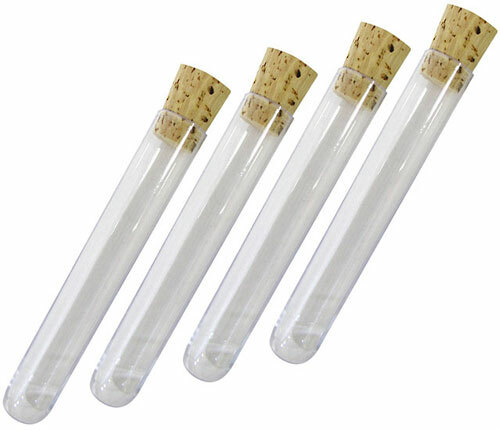 These clear plastic test tubes hold 10ml and measure 101mm (4") long x 16mm (5/8") dia and come with matching #5 corks. You'll receive a handy package of (10) which is enough for a ROY G. BIV optical display which includes the lesser known colors of not-quite-right green, Monday-morning-blue and plaid. Made in USA. 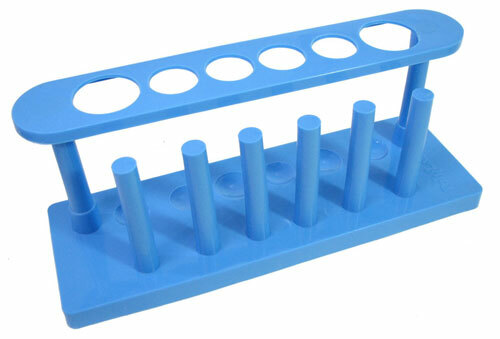 This blue plastic test-tube rack measures approx 8" long x 2-1/2" wide x 3-1/4" tall with (6) holes for full tubes, the end ones at 1-1/16" / 27mm dia and the others at 3/4" / 19mm. 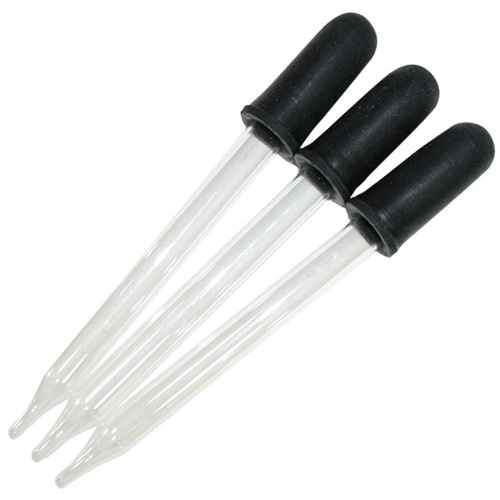 In front of these are (6) pegs for clean inverted tubes. 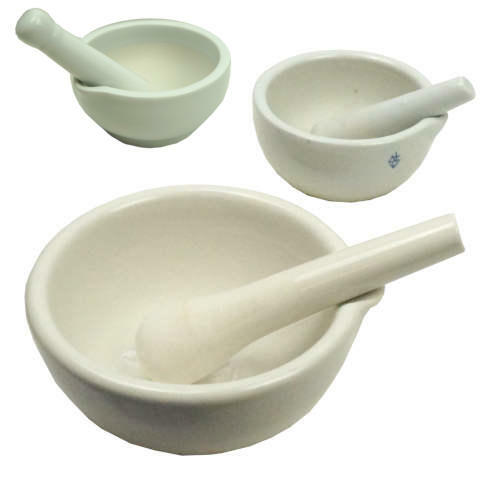 Porcelain mortars and pestles. Great heavy duty mortars, with sides that are easily 5/16" thick on the smaller ones, and up to 1/2" on the larger. The mortars are glazed outside, but rough inside, the better to grind, and have a pouring lip. 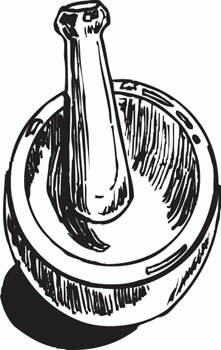 The business ends of the pestles are unglazed, while the shafts are glazed. Very functional, very good looking!! So grind your own spices, fresh herbs or lab concoctions as you prefer. 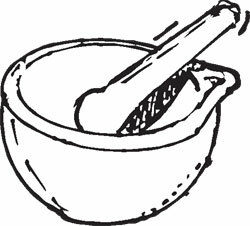 You get a mortar and pestle as a single order. 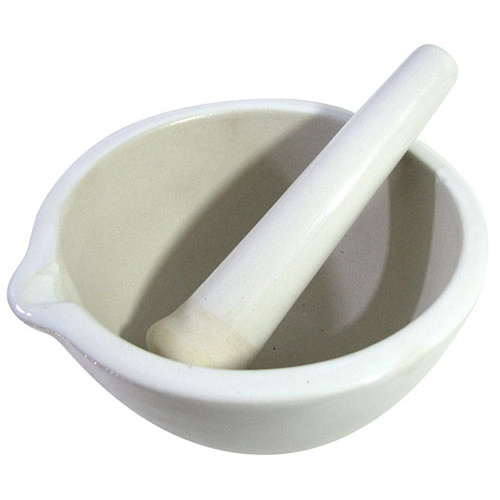 And a pestle to match. 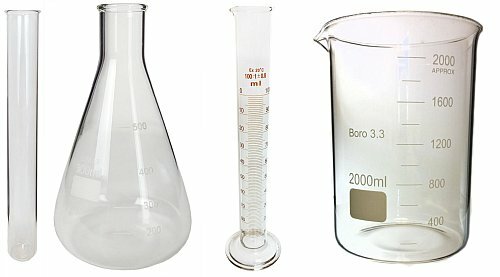 This 900ml, large-capacity mortar and pestle set is made for the lab but would also be proud to serve in your kitchen. 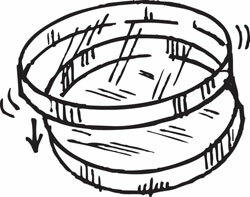 (Call it the Guac Pot.) 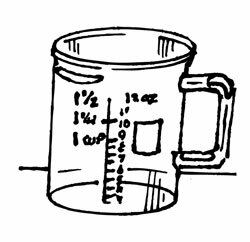 Mortar measures 6-1/4” across x 3-3/4” tall with a 7-1/2” long pestle with a 1-7/8” dia head, big enough to pestle anything into submission. 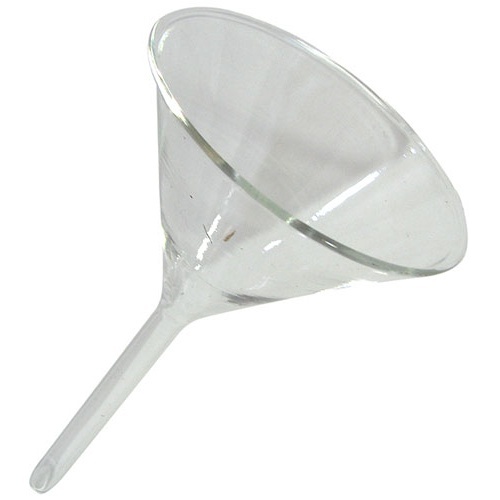 This funnel looks delicate, but it's borosilicate so heat won't hurt it. 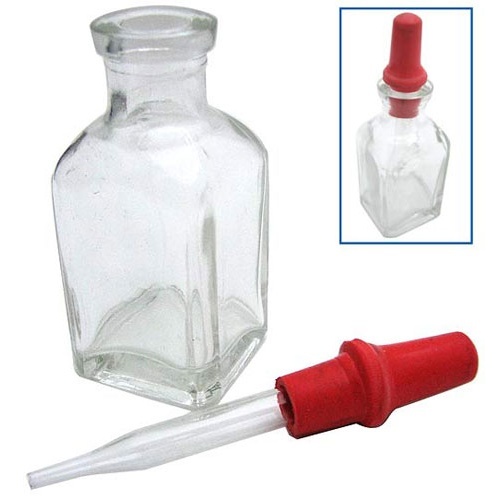 The tough little glass funnel has a 75mm (approx 3") ID mouth and an 80mm long neck with a 6mm ID fluted outlet. No markings.